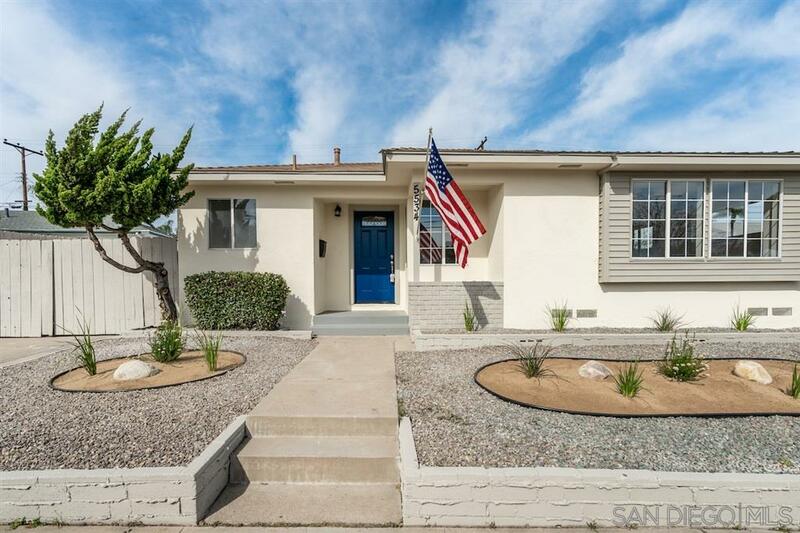 Get ready to move into this gorgeous 3 bd/2 bth remodeled home in the highly desired community of Allied Gardens! Features an open concept and designer finishes with quartz counters, Samsung SS appliances and subway tiles in kitchen, new wood-look laminate floors, fresh paint, dedicated space for dining area, and enclosed laundry room! Enjoy a 2-car detached garage, generous sized backyard, and low maintenance front yard. Walk to the Allied Gardens Rec Center, Marvin Elementary and Lewis Middle School!